The Pace 4111N intelligent gateway provides carriers the right balance of quality and affordability in the increasingly competitive ADSL business environment. 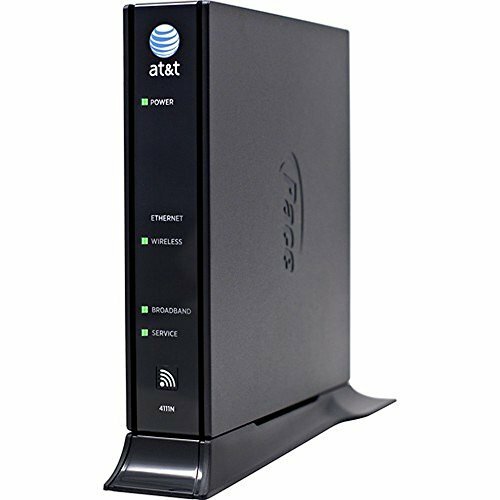 The Pace 4111N gateway incorporates next generation technology to deliver data-over-ADSL service. Fortified with Pace engineering expertise, it couples a solid ADSL gateway feature set with high quality materials where they matter, to reduce total cost of ownership (TCO) and improve subscriber satisfaction. Supporting a Wi-Fi Alliance-certified, high-powered MIMO solution, Pace 4111N gateways offer a compelling alternative to standalone commercial wireless routers. The product includes a high-performance wireless router-up to four times more powerful than standard routers-integrated into a managed ADSL gateway for enhanced customer home network support. Works great with AT&T dsl internet! Certified 1-year full coverage warranty! For versatile use. Integrated PACE ADSL modem for use with ADSL 1, ADSL 2, ADSL 2 RE and ADSL 2+ (1 RJ-11). TR-067- and TR-100-compliant. Include WEP64, WEP128, WPA and WPA2 to keep your information safe. MAC-based filtering offers additional security. If you have any questions about this product by AT&T, contact us by completing and submitting the form below. If you are looking for a specif part number, please include it with your message.